Letter have been sent to parents in the Woking and Guildford areas as a number of preschool age children have been stricken by Shigellosis, according to a recent report on the Mirror website. Danya Bazaraa has written that there have been seventeen confirmed cases of the illness, which “most commonly manifests in schools”. It is highly infectious with symptoms including a high temperature, diarrhoea and stomach cramps. Letters have been sent out to parents by Public Health England South East, which provide information regarding what to do if Shigellosis is contracted and how best to reduce the spread of the infection. The Daily Star website has also picked up on the outbreak and focuses on the need to undertake frequent as well as effective hand washing. The NHS Choices website advises the importance of effective hand washing techniques during outbreaks of various types of dysentery. 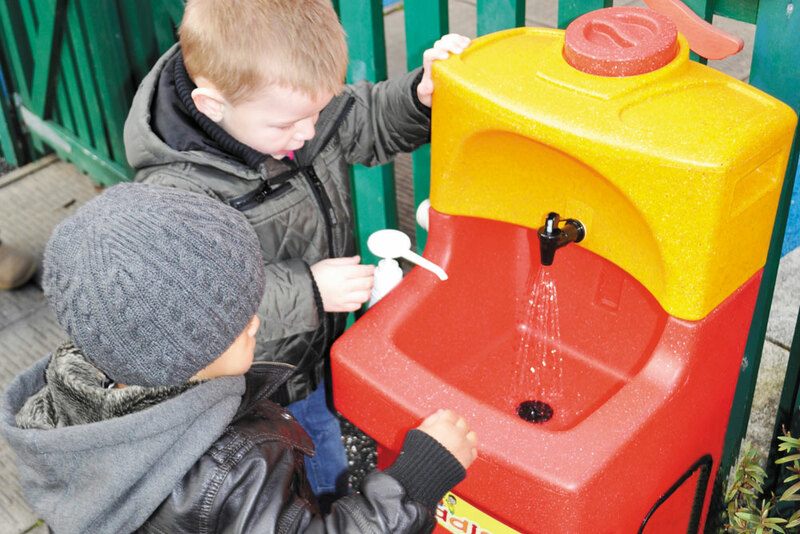 A Kiddiwash Xtra or KiddiSynk portable hand washing sink can be positioned right next to the sand pit – helping to ensure that children dramatically reduce the risk of infection as they finish play.